PlotWorks supports nesting or tiling of two or more images on each sheet. The following solution describes, as an example, how to print 10 sets of 30 images that are each 30 inches x 42 inches at 50% scale and nested 2-up on 30 inch bond. Select Edit > Copy Field Down to apply the Output Size and Scale to all images in the set. The keyboard shortcut CTRL + I may also be used. Select Edit > Copy Field Down to apply the quantity to all images in the set. The keyboard shortcut CTRL + I may also be used. Always set the quantity column to the number of images that need to be nested. 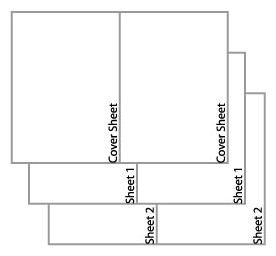 Set the quantity to 2 for 2-up printing, and set the quantity to 4 for 4 up printing. 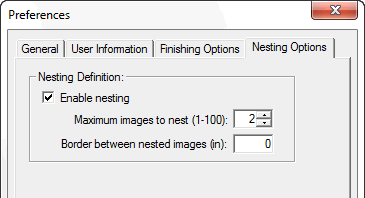 Set the number of sets to the total number required divided by the number of images nested.